Driving in fog is one of the most dangerous situations in which drivers can find themselves, because fog greatly interferes with visibility. When possible, drivers should opt against driving in such conditions and wait for the fog to lift. Unfortunately, we are not always afforded the choice to stay in place and instead must brave driving in the fog. When it is absolutely necessary to be on the roads in such poor visibility, follow these steps to do so as safely as possible. 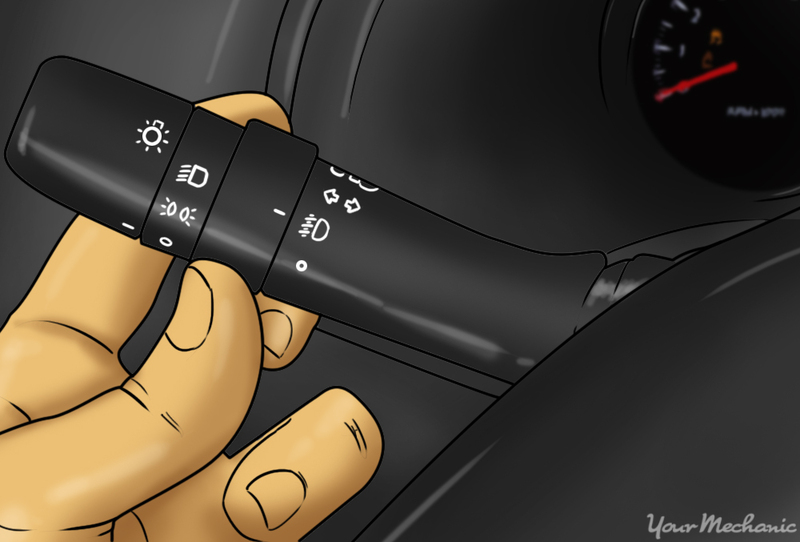 Step 1: Turn on your fog lights or low beams. 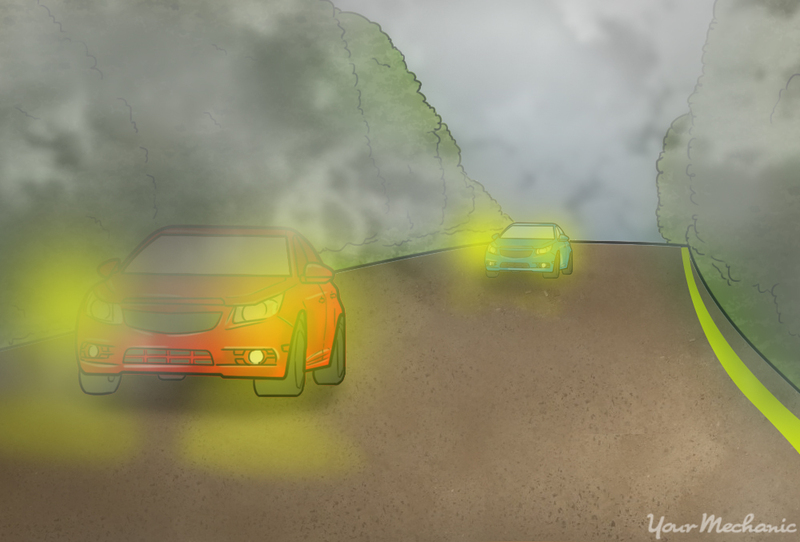 Fog lights, or your low beams in vehicles not equipped with specific lights for foggy conditions, will improve your ability to see your surroundings. They also make you more visible to others on the road. Do not turn on your high beams because they will reflect off of the moisture in the fog and actually reduce your ability to see. Step 2: Slow down. Since your ability to see is greatly hampered in the fog, drive slowly. This way, if you do have an accident, the damage to your vehicle and risk to your safely are far lessened. Even if you pass through an area that is relatively clear, maintain a slow speed because you cannot predict when the fog will become heavy again. Step 3: Use your windshield wipers and defroster as needed. 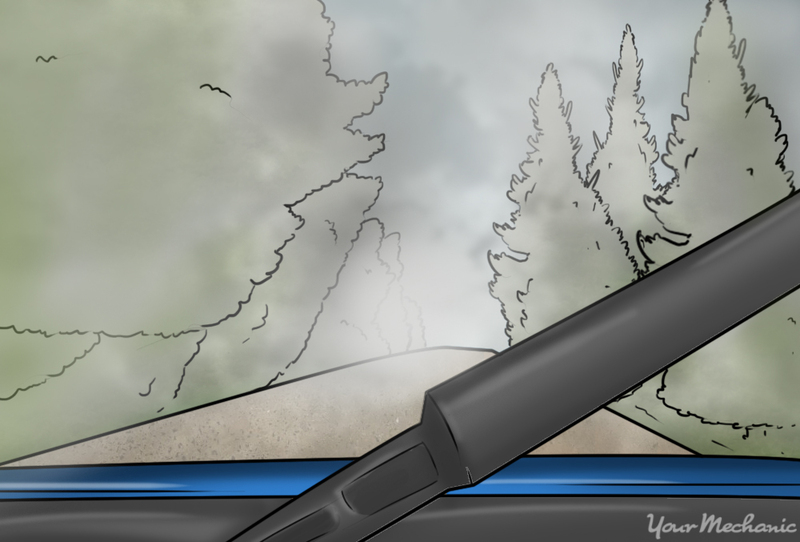 The atmospheric conditions that create fog can also cause condensation to form outside and inside your windshield. Turn your windshield wipers on to remove droplets on the outer glass and the defroster on to clear fogginess from the interior portion of the glass. Step 4: Stay aligned with the right side of the road. Use the right side of the road as a guide because it prevents you from being distracted by oncoming traffic. It is a natural tendency in low-light situations to veer toward brighter spots. If you align your vehicle with the center line, you may inadvertently steer your car into oncoming traffic or experience temporary blindness from another car’s headlights. 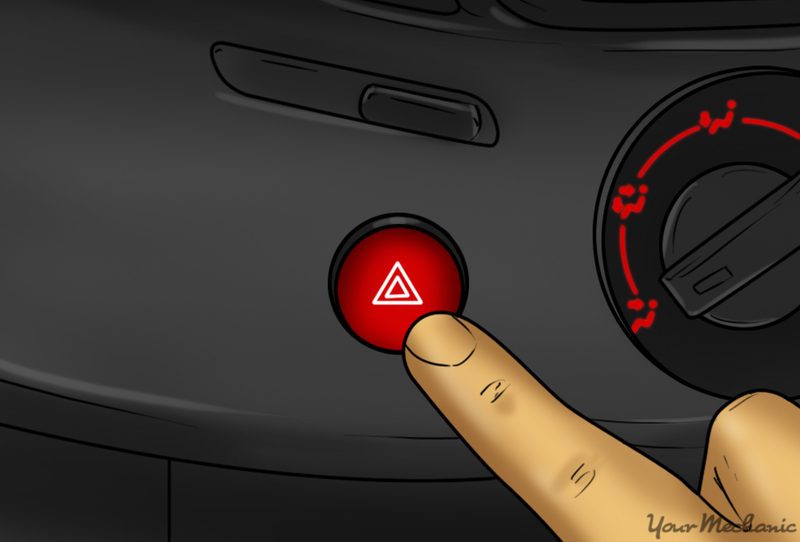 Step 5: Do not follow other cars closely and avoid sudden stops. 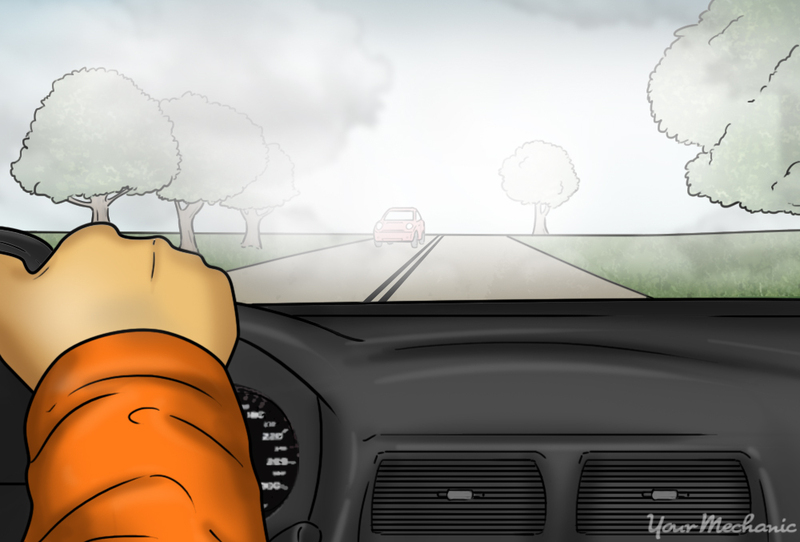 You must use defensive driving skills when driving in dangerous situations like fog. Follow at least two car lengths behind other cars so you have time to react if they slam on their brakes. Also, do not suddenly stop in the road — this may cause someone behind you to crash into your rear bumper. Step 6: Avoid passing other vehicles. Since you cannot see far into the distance, you cannot be sure what lies in other lanes of traffic, especially when oncoming vehicles may be involved. It is better to stay in your lane and drive uncomfortably slow than to try and pass a slow driver and make yourself as a target for collision. Step 7: Stay alert and pull over if the visibility becomes too poor to navigate. 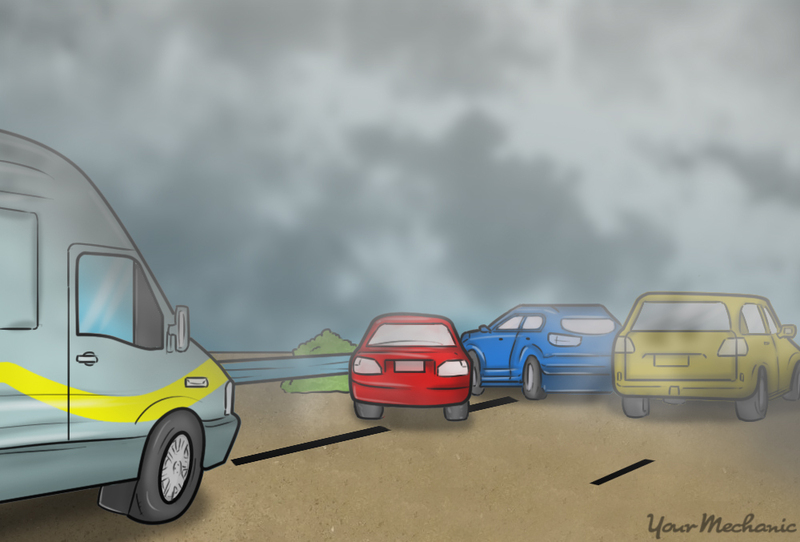 You must be vigilant about your surroundings when driving through fog so that you can react at a moment’s notice. You cannot, after all, see potential problems far in advance and prepare. If, for instance, an accident lies ahead or an animal runs out into the road, you must be prepared to stop without hesitation. Step 8: Eliminate as many distractions as you can. 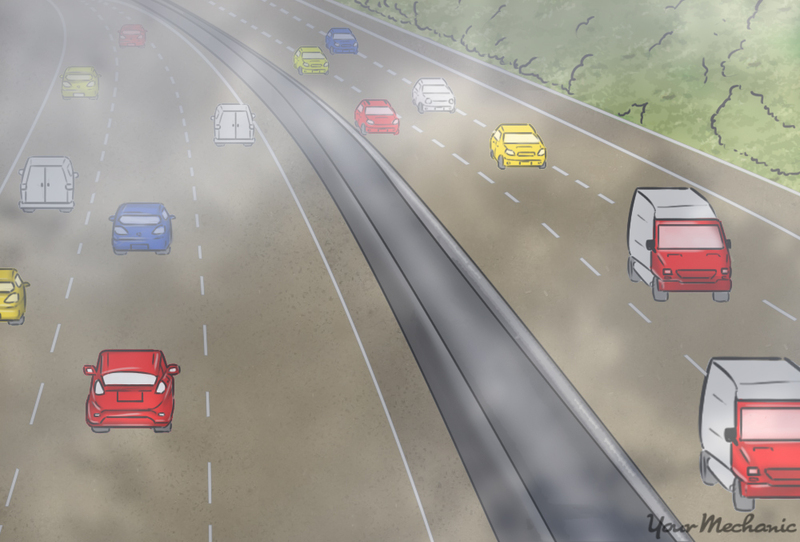 It is essential to maintain your focus on your driving throughout foggy conditions. Turn your cell phone off or put it on vibrate, and turn down the radio. If, at any point, the fog becomes too dense to see the road more than a few feet ahead of your vehicle, pull over on the side of the road and wait for the fog to clear. Also, turn your emergency flashers, or hazard lights, on so other drivers have a better chance of seeing you and won’t confuse you with moving traffic on the road. To reiterate, avoid driving in foggy conditions whenever possible. When tackling such a dangerous scenario, however, treat the challenge with the respect it deserves and take every precaution to see and be seen while moving with the greatest of care. Q: Brights and fog lights stopped working. Q: How do I clear MyKeys?